Join the Winston-Salem Journal for the first Twin City Talks Community Forum. This free event is open to the public, but an RSVP is required. For the inaugural forum, the topic will be Public symbolism and art: Past, present and future. Moderator Lynn Felder will lead a panel discussion on Winston-Salem's public art, monuments and memorials and how it reflects on the community as a whole... as well as its impact on our citizens and visitors alike. Public input: We welcome questions from the public around this topic. Citizens may email their question in advance to promotions@wsjournal.com or via Twitter via @twincitytalks. Written questions will also be collected at the forum and the moderator will address as many questions as possible within the time allowed. Rev. Byron Williams, President and CEO of the Kairos Moment. Columnist, author, and theologian. Parking is free around the Foothills Brewing facility, as well as along Kimwell Drive. 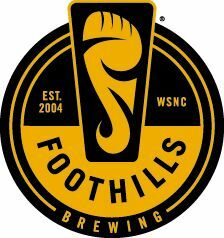 There will be a reception at 5:45pm with appetizers and beer sampling courtesy of Foothills! The program will begin at 6:30pm. 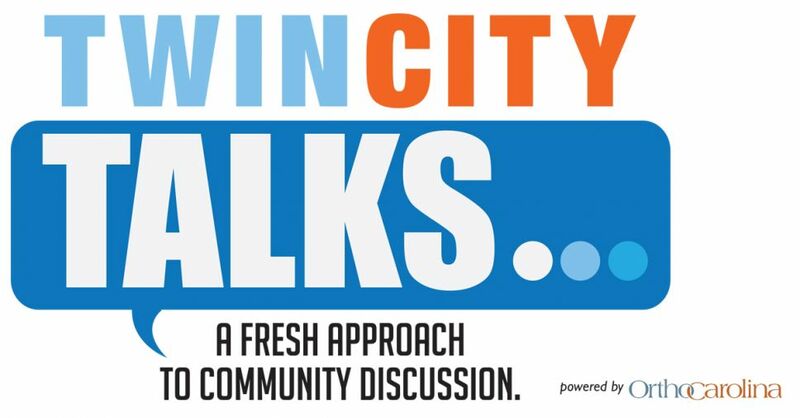 For more information about the new Twin City Talks initiative, including checking out the blog and podcast, visit twincitytalks.com. The Twin City Talks program is powered by OrthoCarolina. When we talk to each other, we’re generally not talking about lofty ideals. We’re talking about where we want to eat, or how that new store is replacing the one where our moms took us shopping. Or what is that new construction project that disrupted our daily commute. Who thought it was a good idea to build all those stores along Hanes Mall Boulevard anyway? That’s what our new series Twin City Talks is about. We’ll be writing about issues that matter and producing monthly podcasts of discussions about the things that matter in Winston-Salem and Forsyth County. We’re also going to try something really crazy: Let’s get some people together, in person, in a casual environment and talk about ideas. That word informal in the definition of discussion is key. When we’re talking about a discussion, we’re thinking about getting a crowd together, sharing a few drinks and chatting. Connect with Twin City Talks Forum!